brown ale | Season It Already! Posted on January 14, 2014 by Carrie @ Season It Already! …Especially when it comes to beer. 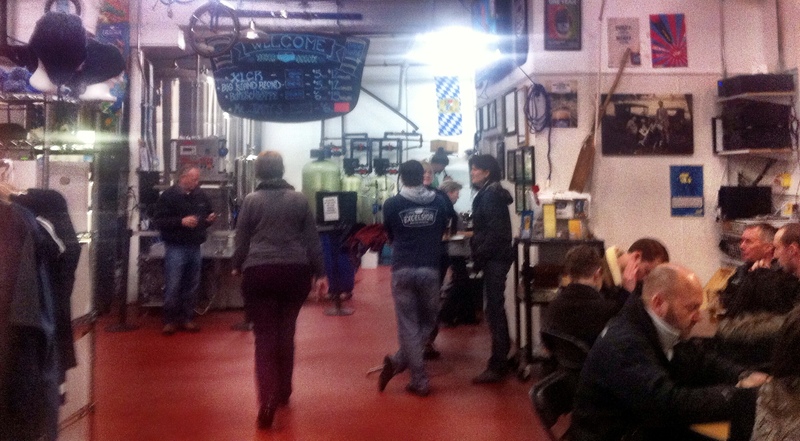 But we did take a trip to see our friend Nora at Excelsior Brewing a few weekends ago. She moonlights there occasionally and we’d been wanting to make a visit. It had been over a year since our first trip to Excelsior. But of the four breweries we visited that day, it wasn’t our favorite. So it was about time to give them another chance! As far as IPAs go, Excelsior’s Bridge Jumper IPA is a pretty solid one. It’s recently become one of Rob’s favorite local IPAs. 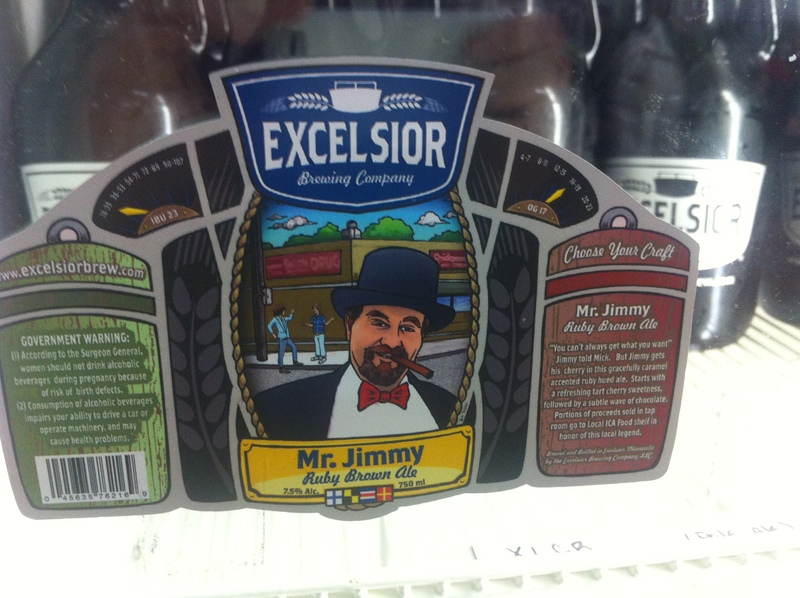 Excelsior Brewing likes to celebrate all things lake-related, as it is inspired by its own Lake Minnetonka. So it’s only fitting that this is named after a childhood rite of passage of the locals living by the lake. However, on this visit, Nora pointed out a new brew and I decided to give it a whirl. And it was then that I fell in love with Mister Jimmy’s Ruby Brown Ale as well as the story behind the local legend, Mr. Jimmy. “You can’t always get what you want,” Jimmy told Mick. But Jimmy gets his cherry in this gracefully caramel accented ruby hued ale. Starts with a refreshing tart cherry sweetness, followed by a subtle wave of chocolate. Portions of proceeds sold in tap room go to Local ICA Food Shelf in honor of this local legend. 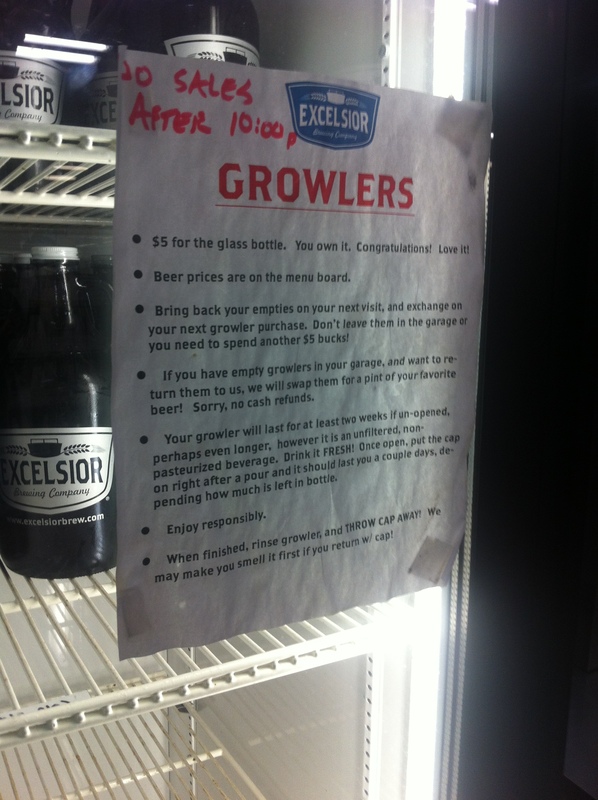 Important: Please note the shelf-life of beer in Growlers. It’s good to know because I’ve found it a common topic of conversation whenever a Growler is opened. Now we have a definitive answer. 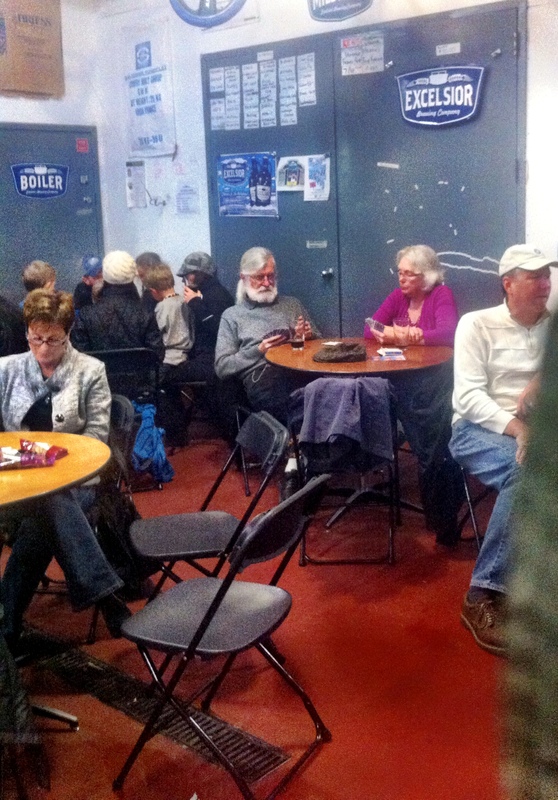 One thing we love about the Excelsior Brewery is the how laid back the tap room is. The first time we were there, we were on tour with sixty people. It was a tight fit in the small garage. But hanging out was much more relaxed this time around. Rob pointed out that a couple brought a deck of cards to pass the time while tipping back a few brews. I love that! 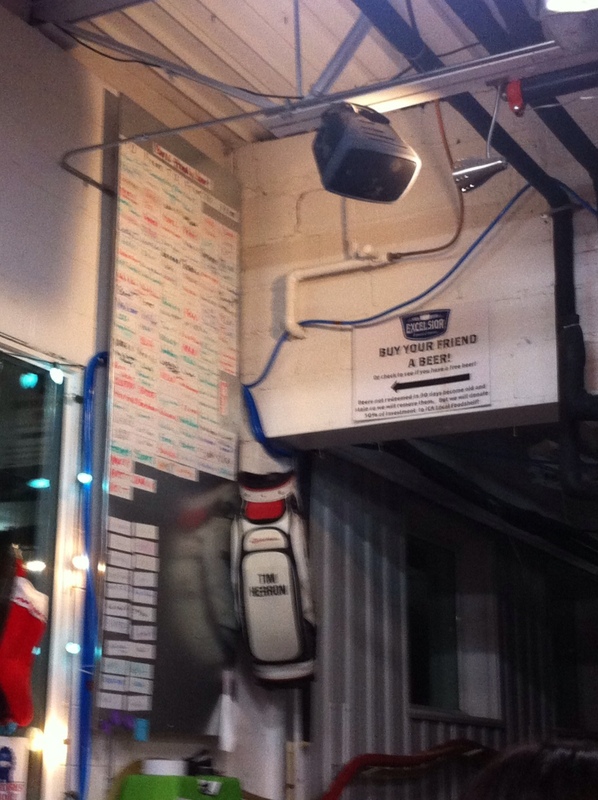 My friend Lisa and I first came across a pay-it-forward style bar when Rob and I were visiting at their cabin. We knew we’d meet up with the boys later after golf and decided to buy them a beer for later. Genius. Have you been to a bar or brewery where you can buy a beer for someone in advance, even if they aren’t with you that day? Have you found a new beer you love lately?